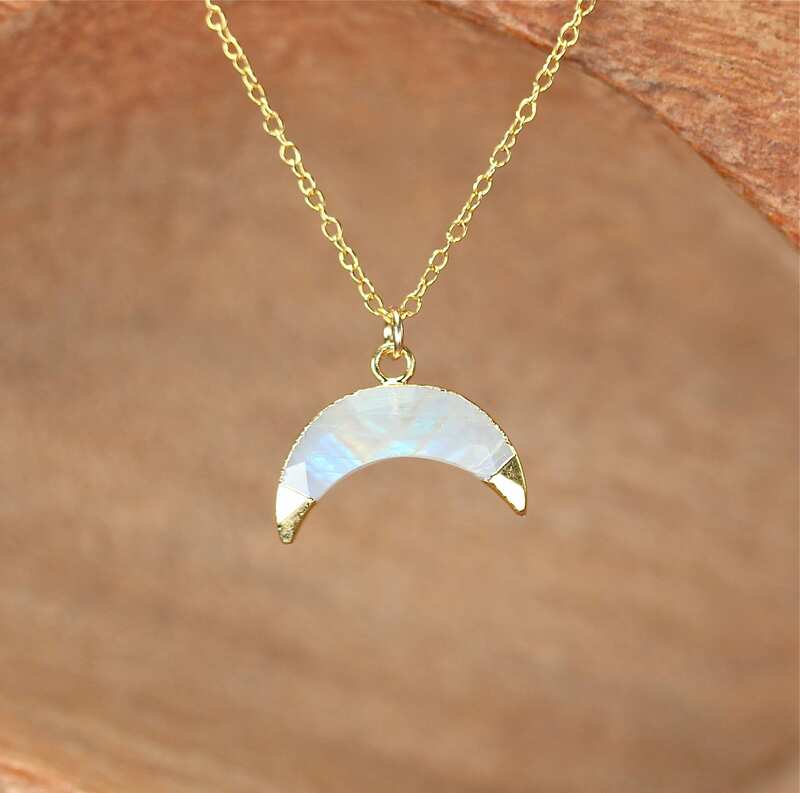 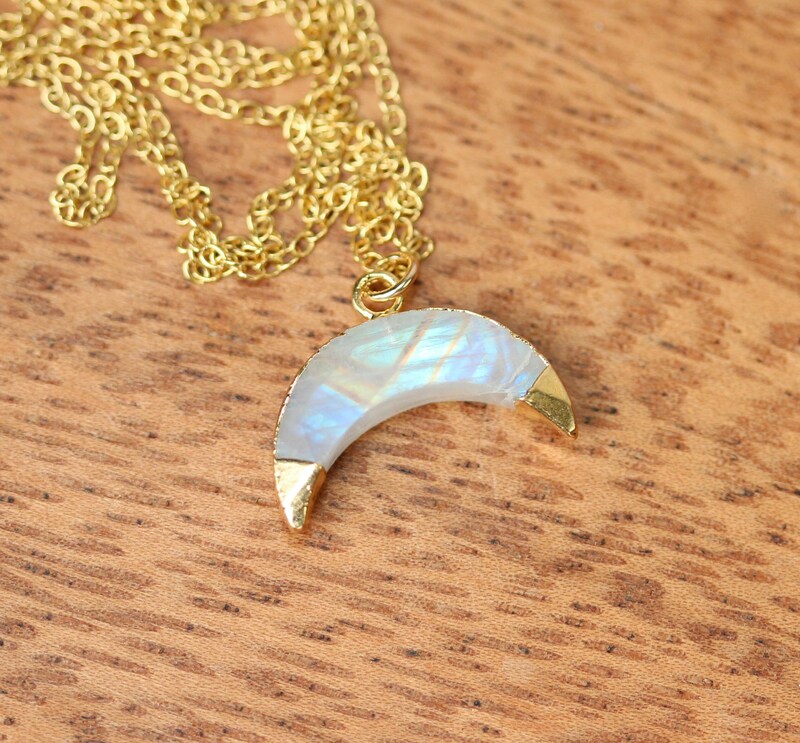 A classy rainbow moonstone crescent hanging happily from a 14k gold vermeil at the length of your choice! 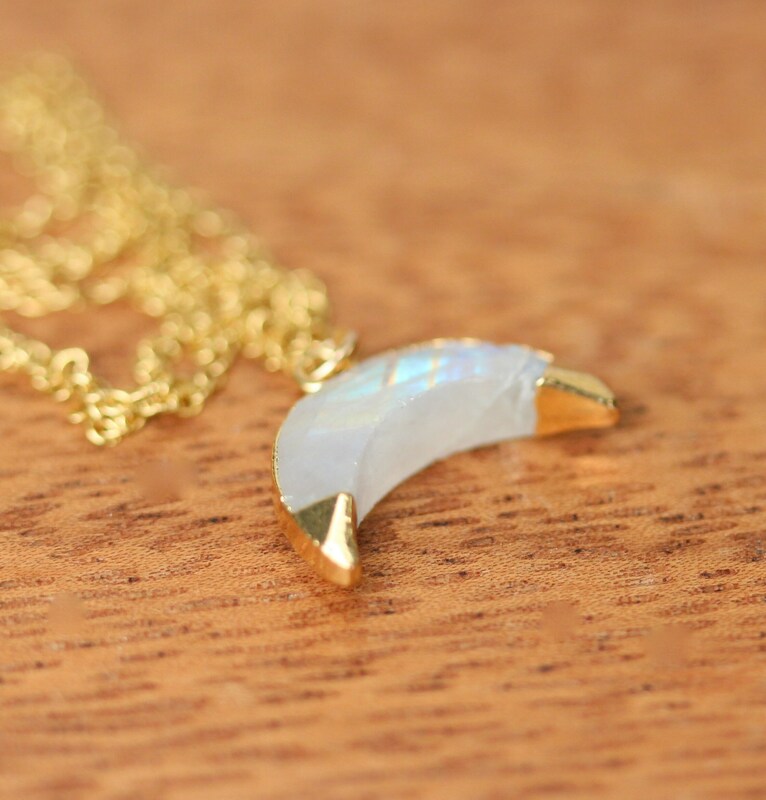 Because of nature and all its beauty, the moonstone you receive may have slight variations in shape and color from the one shown. 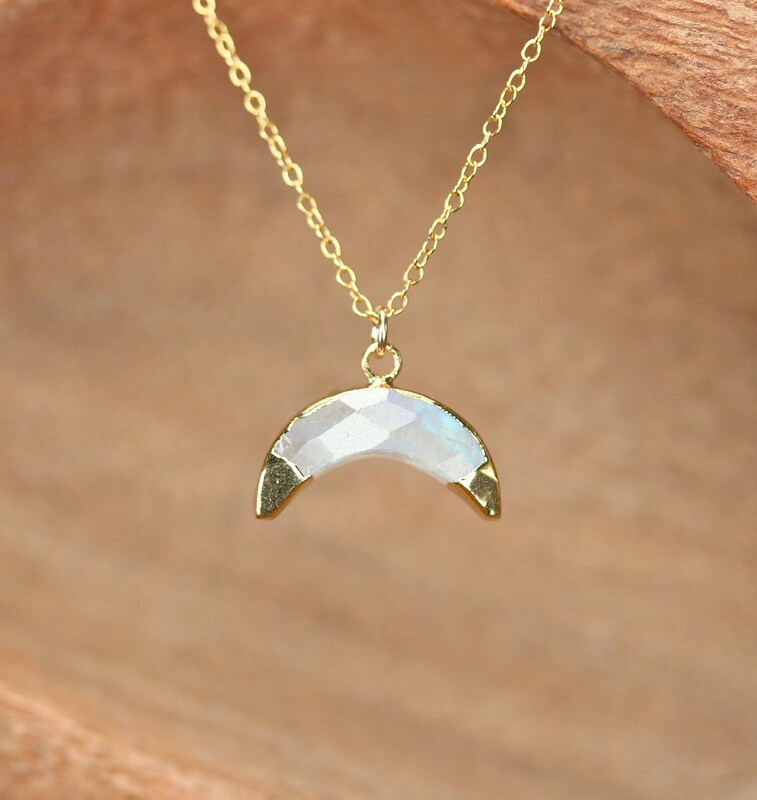 These are all hand picked with beautiful blue flashes.